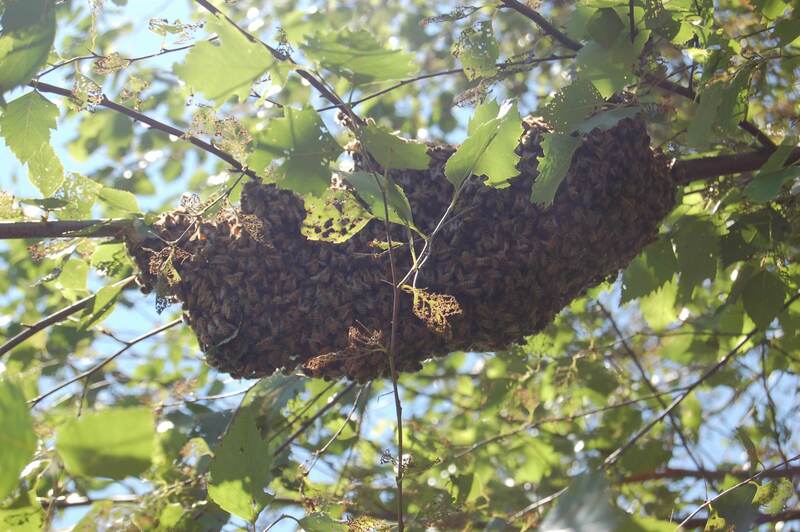 We attempted to catch that swarm as well, but the queen flew away in the process and the others followed shortly after. It is instinct for bees to swarm as a means of reproduction. 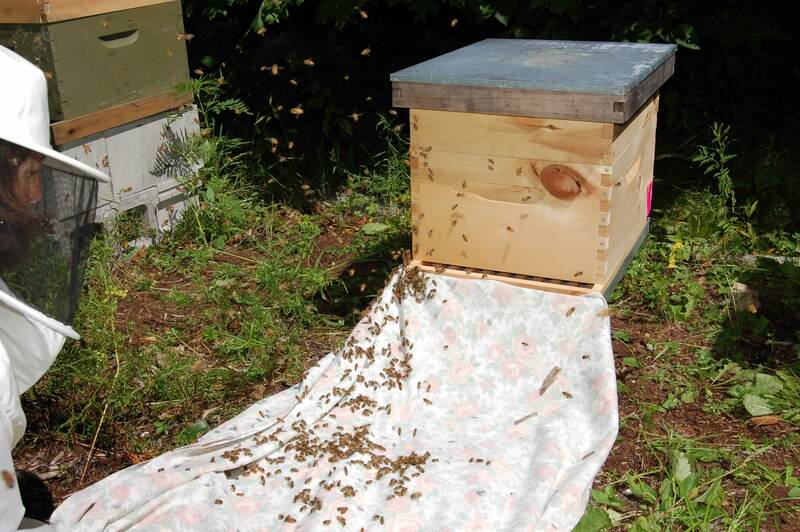 When a hive swarms, the queen and a large percentage of the worker bees leave to find a new hive. 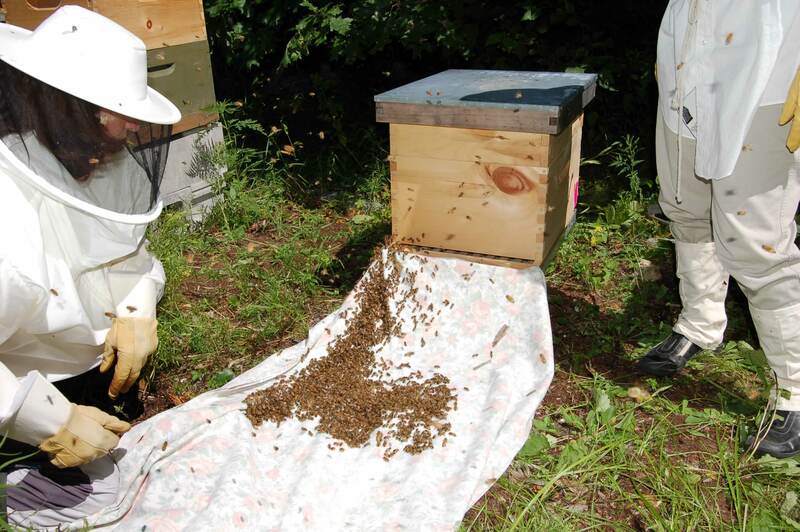 The original hive is left to raise a new queen (and replace all of the workers it lost). Hello! I saw on Ravelry that you are in Wiscasset (as I was wandering around the country clicking on map pins) and I spent a lot of summers there (well, more Woolrich... my dad lived near the grange / flea market there on Route 1 during the early mid 80s). 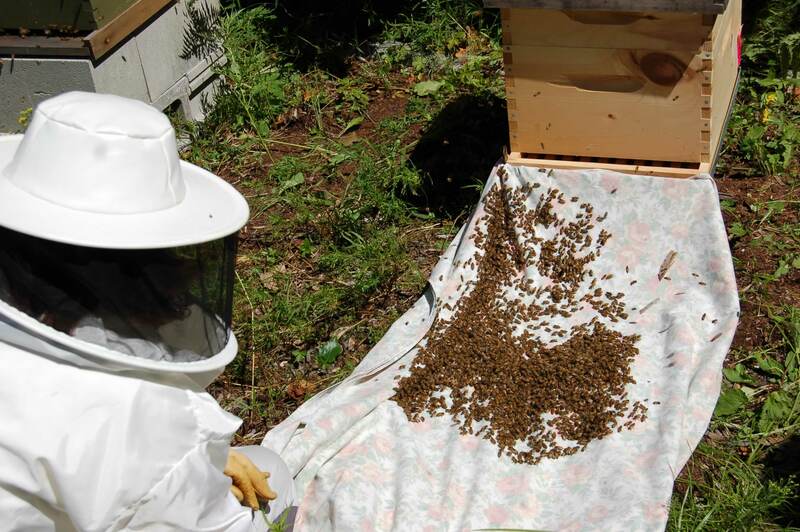 Anyhow, I ended up here on your blog and am much impressed with your bees. Happy knitting and such to you!